This infographic provides information as to options that still allow the use of a paper manifest after the electronic manifest (e-Manifest) system launches on June 30, 2018. Click here to register! 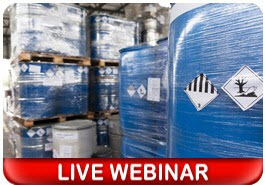 Join us on Monday, June 18, 2018, for BLR’s webinar, Hazardous Waste Shipment: Best Practices to Prepare for the New e-Manifest System.